Honor’s ambitious flagship, the View 20, recently went up for sale and the smartphone marks several firsts for the brand. As it stands, the flagship is the only high-end offering to ship with the 48-megapixel Sony IMX 586 shooter on the back. Add to that its starting price tag of Rs 37,999, which is the same as the OnePlus 6T, and you’re looking at a battle royale between the two devices. Since OnePlus‘ claim to fame is offering high-end features in the mid-range, we decided to pit it against Honor’s latest in a blind camera comparison. The poll was left open for our readers to vote on, in the video below. In case you have not watched the video, do so and then come back to check which images fared better and which of the two VFM smartphones is a better pocket shooter as per more than 10,000 votes. In this shot, the pictures are often judged on the basis of dynamic range, colour accuracy, and the level of details. The Honor View 20 had a landslide victory in this category with a total of 91 percent viewers voting in its favour. The win can be attributed to the sensor’s eye-pleasing colour reproduction (which is evident from the accurate colours in the pool, the sky, and the porch) and the abundance of details (as represented by the leaves on the trees) captured by the 48-megapixel Sony IMX586 shooter. The sensor is further aided by Honor’s AI scene detection, which optimises the settings to capture the best possible details in the scene. The close-up shot is usually the Achilles’ heel for most smartphones as the sensor’s small aperture struggles to focus and capture the right amount of details when pit extremely close to the subject. However, the Honor View 20 managed to capture an extremely appealing close up shot of a red flower with punchy colours, well-defined edges and a surprisingly convincing bokeh effect too. Bear in mind that the separation between the subject (the flower) and the background has not been artificially generated by means of portrait mode. By clicking a more tasteful image with plentiful details, the Honor View 20 clinched this round with 77 percent votes. Ever since the first dual-camera smartphone hit the shelves, buyers have been obsessed with portrait mode, the reason being that it allows users to pop the subject in the frame by blurring out the background. In this round, the 20-megapixel assisting shooter accompanying the 16-megapixel primary camera of OnePlus 6T takes the crown. While the edge detection and the accuracy of the blur effect were on par on both the contenders, the OnePlus 6T shot (pictured below) appeared more pleasing to the eyes owing to slightly oversaturated and vibrant colours that many prefer. OnePlus 6T pips Honor View 20 in this round by bagging 67 percent votes. Going by the shots we took with the devices, we preferred the images from the Honor View 20’s sensor and it seems that the consensus agrees with us. 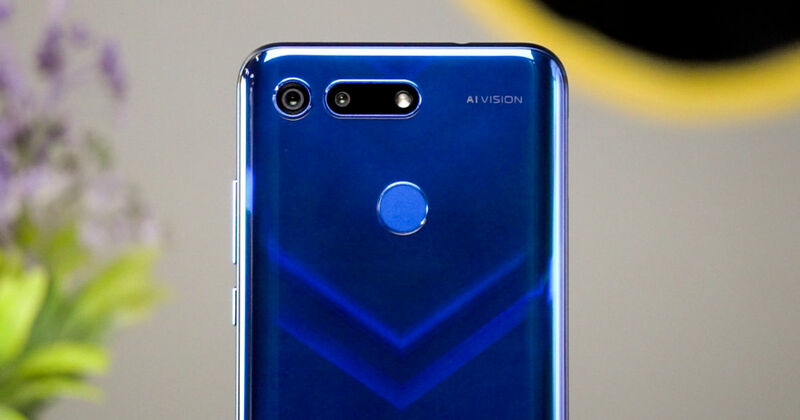 The Honor View 20’s Sony sensor uses Quad Bayer arrays wherein, every 2×2 pixel array has the same colour filter. Consequently, under good lighting conditions, the Honor View 20 can use the full 48MP resolution count, however at night when the light is scarce, the smartphone combines data from four adjoining pixels to produce more details. Take a dekko at the Honor View 20 low light shot below, which won the poll by securing 85 percent of the votes as it kept the glare to a minimum whilst still retaining most of the details in the frame. If there’s one photography trend which has birthed a whole category of smartphones, it’s undoubtedly selfies. As such, we had to take the front cameras of Honor View 20 as well as OnePlus 6T in consideration. On one hand, the OnePlus 6T clicks very appealing and ‘easy on the eyes’ selfies with its 16MP front snapper. However, the Honor View 20’s 25-megapixel front shooter manages to capture images with a higher level of details and more natural skin tone, which got it 68 percent of votes in its favour. With a victory in four out of five categories, the Honor View 20 clearly emerges as the best camera phone you could buy under Rs 40,000. Of course, add to it the powerful specs and innovative features such as the punch-hole display, and the View 20 comes across as a strong contender in the affordable flagship segment.